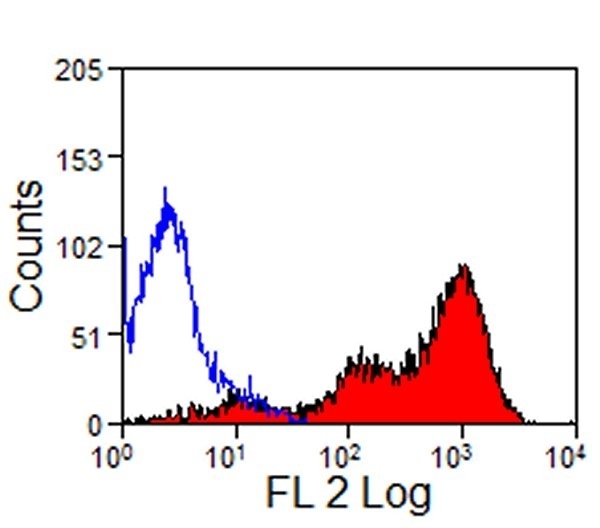 Figure A. RPE conjugated Mouse anti Horse CD4 (MCA1078PE) and FITC conjugated Mouse IgG1 isotype control (MCA928F). 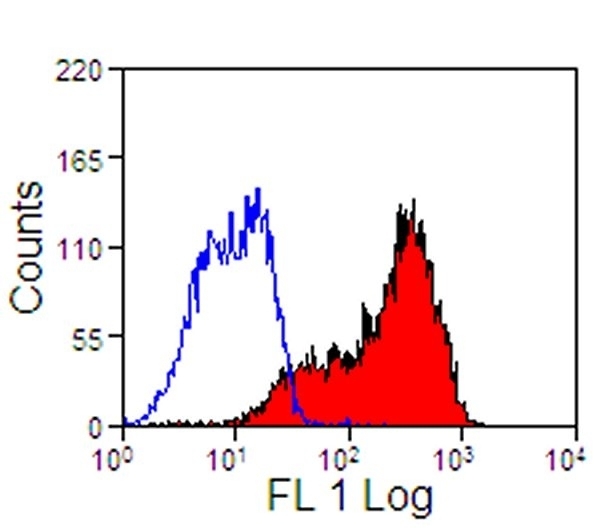 Figure B. RPE conjugated Mouse anti Horse CD4 (MCA1078PE) and FITC conjugated Mouse anti Horse CD5 (MCA1079F). All experiments performed on red cell lysed horse blood gated on lymphocytes in the presence of 10% horse serum. Data acquired on the ZE5™ Cell Analyzer. 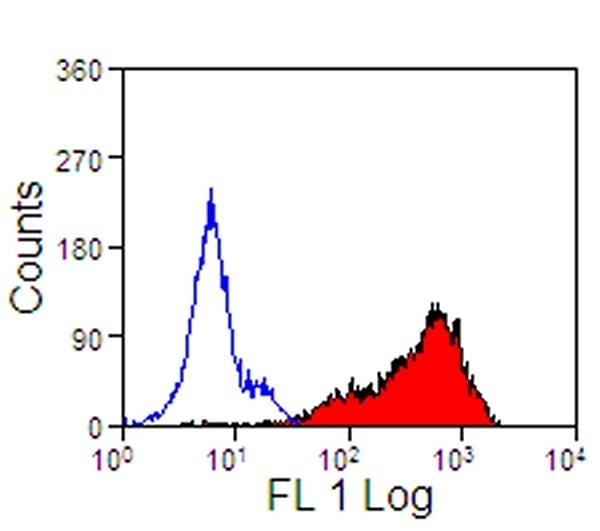 Mouse anti Horse CD5 antibody, clone CVS5 recognizes the equine CD5 antigen, a single-pass type I membrane protein with an approximate molecular weight of 69 kDa. Equine CD5 is expressed on the majority of T-lymphocytes, in addition is has been reported that equine CD5 may also be detected at very low levels on B-cells and granulocyctes. In addition to the CVS5 clone, other CVS clones recognising equine MHC and cell surface antigens are available from Bio-Rad. Lunn, D.P. et al. (1991) Three monoclonal antibodies identifying antigens on all equine T lymphocytes, and two mutually exclusive T-lymphocyte subsets. Moyo, N.A. et al. (2013) Differentiation and activation of equine monocyte-derived dendritic cells are not correlated with CD206 or CD83 expression. Mayall, S. et al. (2001) The anti-human CD21 antibody, BU33, identifies equine B cells. J Comp Pathol. 124 :83-7. Siedek, E. et al. (1997) Isolation and characterisation of equine dendritic cells. Vet Immunol Immunopathol. 60: 15-31. Colbath AC et al. (2016) Autologous and Allogeneic Equine Mesenchymal Stem Cells Exhibit Equivalent Immunomodulatory Properties In Vitro. Ziegler, A. et al. (2016) Equine dendritic cells generated with horse serum have enhanced functionality in comparison to dendritic cells generated with fetal bovine serum. BMC Vet Res. 12 (1): 254.